Originally hailing from Germany, these dogs (bred for ratting and guarding) have been around for at least several centuries. But what’s the best dog food for Schnauzers? What do you feed a dog that’s athletic, hard-working, and lovable? Here’s what our research turned up. Schnauzers are probably most well-known for their distinctive facial features. They have a beard-like tuft of hair on their chin, small pointy ears, and arched eyebrows that make them look a little bit like an old, haggard wizard. They’re excellent working dogs, and have been successful in a number of different types of athletic activities—including performance sports, herding, hunting, retrieving, tracking, and even search-and-rescue. Their personality tends to be clever and dignified, though they’re also extremely intelligent and mischievous. Schnauzers have a long and well-documented history, and their likeness has actually been captured in many famous paintings. Back in the 1500s, they were used pretty extensively as farm dogs. They herded cattle and livestock, got rid of rats, and helped to protect their owners. In fact, it’s said that Giant Schnauzers were bred around this time so that they could pull carts while also watching out for danger—which is pretty impressive! Standard Schnauzers grow to be about 1 foot, 6 inches tall at the shoulder, will end up weighing somewhere between 30 and 50 pounds, and can live for up to 16 years of age. As an athletic working dog, they definitely require a quality diet to stay energized—so feeding enough calories to keep them feeling good is important! A less-active Standard Schnauzer will require roughly 800 calories per day in quality nutrients. A moderately active dog in this same size category will require somewhere closer to 1,000 calories, while a highly-active animal might need as many as 1,600 calories per day or more—depending upon their exact body weight. Of course, Standard Schnauzers can vary a bit in weight, even as adults—so make sure to adjust their food intake to match their individual size and energy level. Not all dogs are going to have the exact same needs where nutrition is concerned, so make sure to observe your pets while they eat, play, and work. You might need to make small adjustments to the amount of food that you’re feeding if you realize that one or more of your Schnauzers aren’t getting enough calories, or vice-versa. 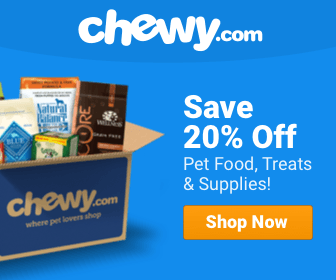 Want to Learn More about Schnauzers? This video, which is part of a series called Breed All About It, does a great job of providing an overview on the Standard Schnauzer breed. It also covers the Giant and Miniature Schnauzer varieties—which are a bit different, yet no less interesting! Schnauzers tend to be a pretty hardy breed. They are, however, prone to a few different conditions and diseases. Not all of the animals will suffer from these ailments, thankfully—though it’s always good to be aware of the possibilities so that you’ll know to take action should the need arise. This condition is usually genetic, and occurs either when the hip socket fails to hold the thighbone firmly enough, or when the ligaments, muscles, and other connective tissues fail to hold the joint in place. If you buy your pet from a reputable breeder, then you should be able to confirm that the parents of your Schnauzer tested negative for the condition. If it manifests itself, this problem can be very painful for dogs—but it can be helped with a diet that’s rich in Glucosamine, Chondroitin, and Omega 3 fatty acids. For more information on how the condition can be helped through your pet’s diet, you can visit this page on naturalnews.com. According to this article, hosted on healthypets.mercola.com, Cataracts are ‘a clouding of the lens of the eye.’ The condition may or may not be bad enough to affect the dog’s vision, but they can result in blindness if left untreated for too long. It’s been said that one of the best defenses against Cataracts is to keep your dog at a healthy weight, so as to avoid diabetes. A diet rich in antioxidants and vitamins C and E can also help to prevent this often debilitating eye-problem. This is a condition caused by low thyroid function. Some symptoms might include lethargy, mental dullness, and weight gain. You can read a great deal about the disease here, in an article that was published by whole-dog-journal.com. Treatment for Hypothyroidism is, thankfully, inexpensive and pretty easy if it’s caught early enough. A diet rich in vegetables, fruits, and seeds is also beneficial, as these foods contain naturally-occurring Sterols, which can help to boost immune-system support for your canine. Standard Schnauzer Puppies will generally wean between their 5th and 6th weeks of age. Schnauzers are usually obtained by their adopted family around the 7th week of life, as weeks 7 through 10 present the greatest opportunity for puppy-to-human bonding. At this age, the puppy will be much more likely to bond with a human than it would be if this crucial bonding-process were to be put off. It seems that Standard Schnauzers who don’t receive adequate human-bonding time before week 12 tend to have a more difficult time adapting to life as human companions. 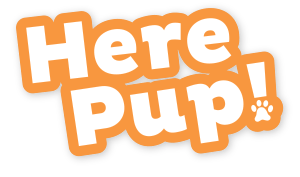 Standard Schnauzer puppies will probably weigh somewhere between 4 and 5 pounds at the 8-week mark, which means that they’ll need about 180-200 calories per day to stay fueled and energized. 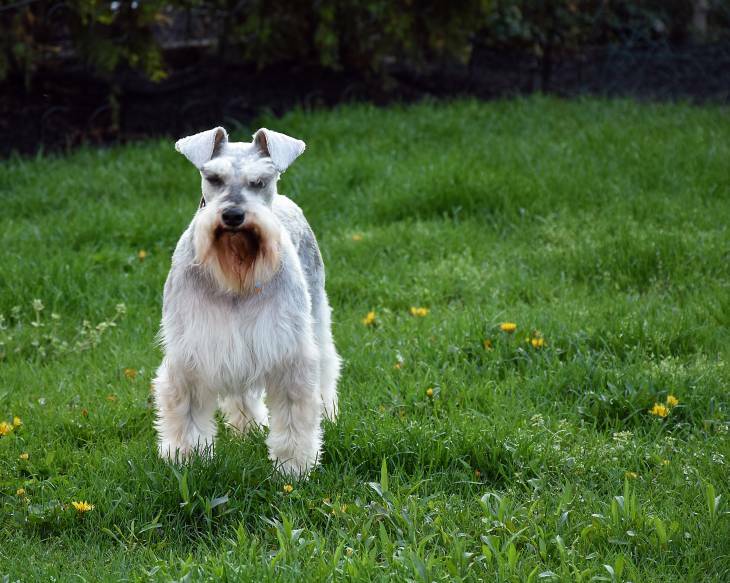 As a highly energetic dog breed, the Schnauzer has a definite need for well-rounded nutrition. This is why we recommend Holistic Select Grain Free Natural Dry Dog Food for this lovable, agile canine. There are definitely a number of high-quality dog foods on the market today—but this one grabbed our attention for this breed in-particular on several different fronts. First of all, it’s packed with Omega 3 Fatty Acids to give your pet a boost in joint health. This will be especially helpful for Standard Schnauzers that have a predisposition for Hip Dysplasia. It also contains a wealth of vitamins and minerals—some of which can help to offset the risk of Cataracts in the breed. It also contains ingredients like Flaxseed, Pumpkin, Papaya, Apples, Blueberries, and Pomegranate. These types of ingredients contain Sterols that will help to boost your dog’s natural immune system—helping to prevent or slow the onset of conditions like Hypothyroidism. This formulation is also free of wheat, gluten, fillers, and artificial colors. It contains no artificial preservatives, and was made with holistic, natural ingredients to ensure a complete and well-rounded diet of wholesome foods. 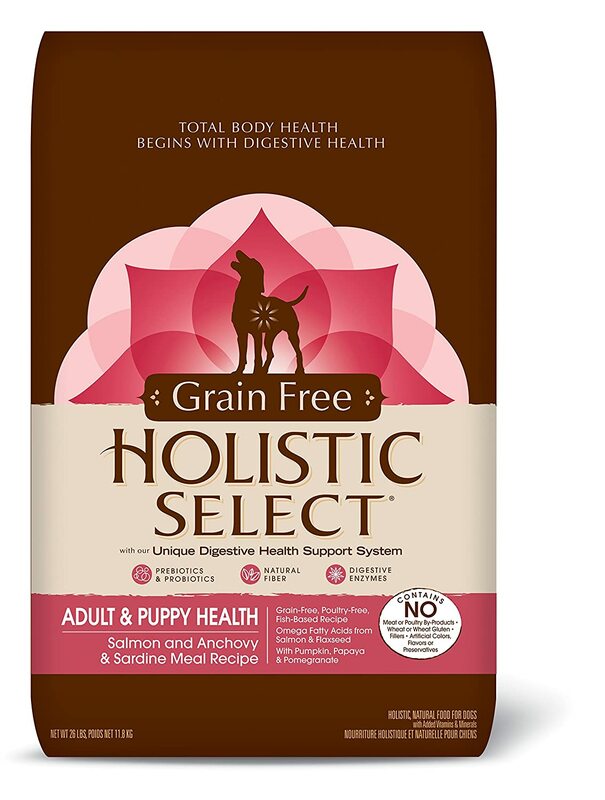 In our opinion, Holistic Select Grain Free Natural Dry Dog Food sets a high-standard for pet nutrition. It contains a number of awesome ingredients—including fish-based animal meat. It’s also packed with enough vitamins and minerals tokeep your Schnauzer healthy, happy, and on the move—which is super-important! If you’ve never taken a look at this food before, I definitely recommend giving it a try.